Simon’s Specialty Foods is proud to celebrate over 30 years of quality product and customer service in the food specialty industry. Our line-up of the traditional favourites continue to be great sellers while our passion for innovation mean you can look forward to trying out new delicacies which are sure to please. 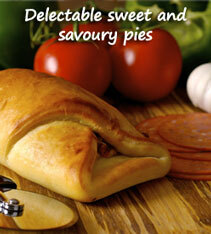 We have been supplying businesses with pies, pastries and more since it opened its doors for business back in 1984. We work with deli’s, butchers and small supermarkets and more to supply them with what they need.